More goodies for your XOOM! Our friends over at XDA are already snatching items from the Asus Transformer and making sure they work on other tablets. 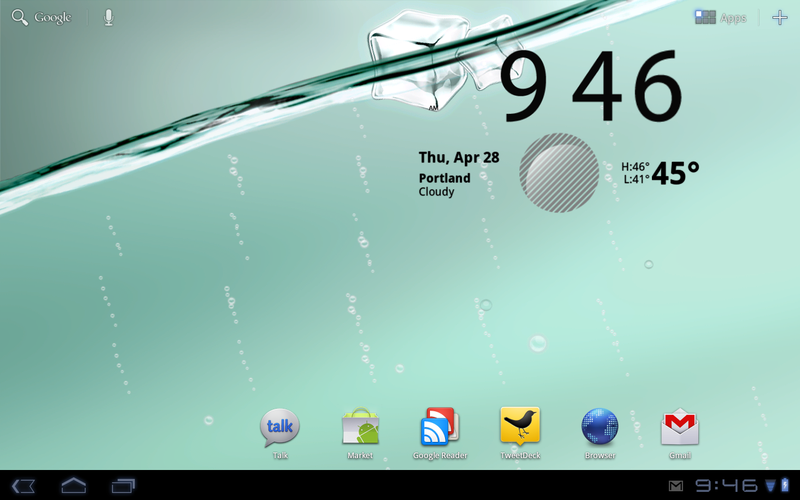 First up, is the My Water live wallpaper which you’ve probably seen from press shots and such. It swishes around on your screen just like you would expect water to, has bubbles for more fun, and then goes into bubble hyperdrive when plugged in for charging. Fun, fun. Install just as you would any other apk. And be sure to cruise over to XDA to see the other apks they’ve pulled from the Transformer.